Unai Emery is to be confirmed as the new manager of Arsenal after a day of talks in London concluded with him saying yes to the role of replacing Arsene Wenger. 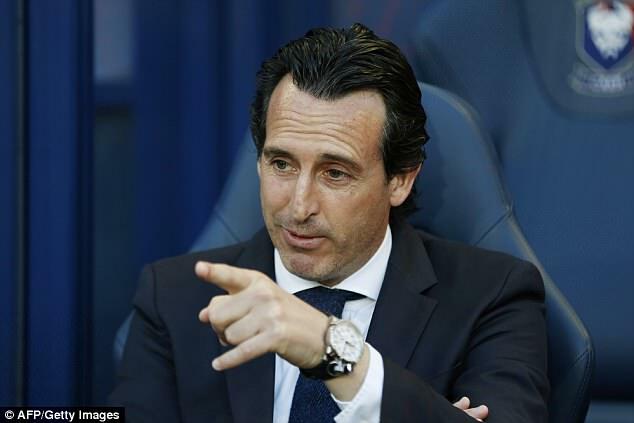 Sportsmail revealed on Monday that Emery, 46, had emerged as a late rival to Mikel Arteta for the job. A contract for the Spanish former boss of Sevilla, Paris Saint-Germain and Spartak Moscow was being thrashed out on Monday night by Arsenal chief executive Ivan Gazidis. 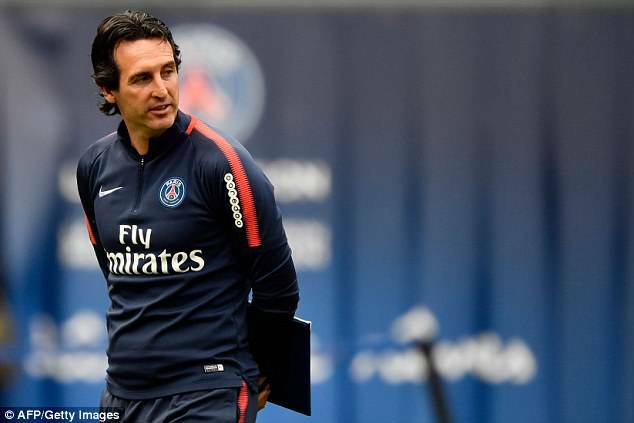 It is believed Emery has agreed to work under a tight transfer budget and strict controls from the board. But his promise of how he likes his teams to play is sure to excite Arsenal supporters. ‘Fans want their emotions to come to the surface and the only way to make that happen is to give them a team that transmits emotion: intensity, attacking, scoring goals, competing, fighting,’ he wrote in a recent book. 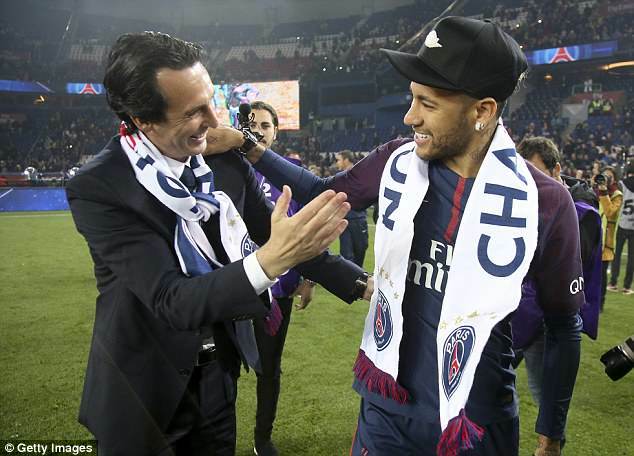 Emery left his role as Paris-Saint Germain manager at the end of the season despite winning five trophies in two years, Thomas Tuchel taking his position at the French club. 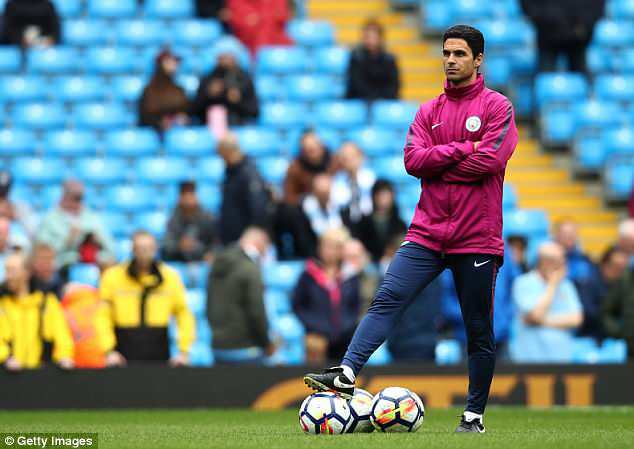 News of Emery’s imminent appointment was met with shock by players on Monday night, who had fully expected Arteta to be in charge next season. Arsenal also considered Patrick Vieira as manager and made an approach for their former captain, but that move was heavily criticised by legendary striker Ian Wright on BBC Radio 5 Live. He said: ‘One of the saddest things was Arsenal getting in touch with Patrick, which was tokenism. Asked whether it was tokenism because he was a club legend or because he was black, Wright said: ‘I don’t know. You can choose, whichever way. Did they do it maybe because they had to interview? Started at Real Sociedad, playing five La Liga games at left wing before making his name with Toledo in the second tier, where he would spent the bulk of his career. Lost 11 games in a disappointing six months. Sacked after 5-1 home defeat to Dynamo Moscow.